The School of DanceWest Ballet offers high quality dance training in a professional atmosphere. We want our students to enjoy and respect the art of dance, celebrating the human body's ability to translate feelings and emotions into dance form. Ricardo and Regina Moyano bring years of training and experience to their teaching. They hope to inspire students to strive to reach their full potential. Dance is an art form that takes time and dedication to develop. The School of DanceWest Ballet offers professional instruction, high standards, and a program that allows students to gradually progress according to the level of their individual skills and technique. It is important that each student develops pride, discipline and self-confidence while having fun and facing challenges. We recognize that students are impressionable, therefore, we strive to make each class positive and constructive. The School of DanceWest Ballet offers a specialized dance program for children beginning at age two. We take pride in this unique program which incorporates fun, singing, movement, props, and basic steps and terminology that begins to prepare them for future dance classes. Our goal is for each child to improve in coordination and movement while learning how to listen and participate in class. We want them to have fun while gaining confidence in themselves and their abilities. Once the students reach a certain level of maturity and knowledge, they graduate to the next level and can eventually move into the Professional Programme. The students can then begin intensive study to train like a professional dancer. They will have the opportunity to become a DanceWest Ballet Company member, study with professional dancers, and learn to truly enjoy and respect the art of dance. This class is structured for the two- and three-year-old. The young dancer learns sequencing skills, musicality, and co-operative skills. As it is generally their first introduction to a formal class, listening skills and age appropriate coordination are developed. Many different props and songs encompass making this syllabus fun. The introduction of some basic ballet steps will take place along with rhythm awareness and learning of some dance discipline. The last 15 minutes of class will introduce the child to tap basics. The Pre-Ballet class will introduce the four- and five-year-old to the syllabus of a ballet class through a structured warm up at the beginning of class. Songs and the use of props further the students’ enjoyment while learning age appropriate skills such as ballet walking, skipping, galloping, and the polka. French ballet terminology is used in conjunction with take home coloring pictures to enhance the students’ ballet vocabulary. At this point the child will begin to develop listening skills, strength, balance and coordination. Fifteen minutes of tap finish up the class continuing and building on skills learned in Creative Movement. The five- and six-year-old will learn the structure and progression of a ballet class. The ballet barre exercises are introduced facing the barre holding on with both hands to ensure proper body placement. Proper technique and execution are important, as this is the foundation for all future study in dance. Stretching exercises are emphasized for necessary execution of technique and injury prevention. The enjoyment of movement to music is still the emphasis of the class at this level. Tap is included the last fifteen minutes of class to stress the importance of musicality. Students will learn basic tap terminology, rudiments, and traditional dances and patterns. The students will be introduced to tap history, basic music theory, and improvisational expression, rooted in the traditions of tap dance. This class continues teaching the seven- to nine-year-old ballet terminology and technique. At the barre, students are now strong enough to execute exercises holding onto the barre with only one hand. When the students leave the barre, to dance in the center floor portion of the class, they will be using all of their previous experience to begin putting combination steps together. 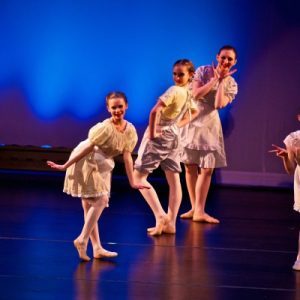 The School of DanceWest Ballet offers classes for students that plan on continuing dance after high school, those that dance recreationally, and those that plan on dancing professionally. The School’s faculty is comprised of world renowned instructors that offer their students quality professional instruction. All of the ballet faculty have danced professionally in dance companies in the United States and abroad. This valuable expertise is unequaled in other dance programs offered in the area. The Ballet I class continues teaching the seven- to nine-year-old ballet terminology and technique. At the barre, students are now strong enough to execute exercises holding onto the barre with only one hand. When the students leave the barre, to dance in the center floor portion of the class, they will be using all of their previous experience to begin putting combination steps together. Upon entering Ballet II levels, more is demanded of the student physically and mentally. The barre and warm up exercises become more challenging. In the center, the steps are more intricate. Two technique classes are required per week. Dancers exhibiting enough strength are encouraged to begin pointe classes. Ballet II/III requires more strength at the barre as exercises are longer and more challenging. Rotation of legs in the hips to create an aesthetic ballet line is required at this level. Nuances and quality of execution are introduced at this level. In level III, students, are required to retain more terminology. Coordination of the arms with the movements of the legs in stressed. Musical phrasing becomes more advanced. It is recommended that at this level dancers take three technique classes and a pointe class in order to advance. In preparation for Ballet V, artistry, nuances and musicality are stressed. Height of leg extensions at the barre are critical. Petite allegro and more complex turns and jumps are in the syllabus. It takes many years of study to work up to this level of dance. Students are in their teens by the time they reach level IV. Ballet V is the highest level class and is taught at professional standards. Longer, more involved warm-ups are designed to build strength, agility and technique. Center combinations use many steps including small and large jumps and turns across the floor. Artistry through the phrasing of music is encouraged. This is a pre-professional class only for those dancers with technical prowess who have ambitions fro professional dance careers. Audition is required to join this class. A strict criteria must be met before a student may begin to dance en pointe. A strong core body alignment, straight knees and developed arches of the feet are necessary. Excerpts and solo dances from full-length ballets are learned and performed in this class. It is a real favorite of the students. Dances from the Ukraine, Russia, Spain, and specialized steps used in classical, full-length ballets are learned. A freer form of dance than ballet, Modern and Contemporary emphasizes feeling of movement and shapes in space. All levels learn with an age-appropriate syllabus. Jazz II gradually increases length of center combinations. Jazz steps are more intricate. Body isolation and control are essential in Jazz III. Complex and challenging jazz steps are taught at this level. Lyrical qualities mixed with fast, energetic, percussive movements describe Jazz IV. Many different types of turns and large jumps are an integral part of this level. Style is emphasized. Students will build upon the techniques they learned in Tap I. More challenging rudiments and combinations will be introduced. Students will continue to develop their technique and learn more complex historical works. Improvisation and music theory will be emphasized. Alanna started dancing at the age of fifteen, she continued her training at Northern Illinois University where she received the Dance Service Award and earned her B. F. A. in theater with a concentration in dance. During her time at Northern Illinois University she studied immensely under Autumn Eckman, Judith Chitwood, Brian Carey Chung, and Paula Frasz. She also was a 2013 scholarship recipient at Chicago’s Visceral Dance Center and trained at Lou Conte Dance Studio. Post graduation she has been seen with Paul Christiano’s “Hungry Ghosts”, The Lyric Opera of Chicago, DanszLoop Chicago, and has participated in multiple freelance dance shows. She has also performed with Winifred & Haun Dancers “Open Rehearsal”, DanceWorks Chicago “DanceBytes”, Chicagos “Carnival”, and in a wide repertoire with Northern Dance Theatre in DeKalb, Illinois. Alanna was also a principal dancer with Hedwig Dances where she toured internationally to perform. 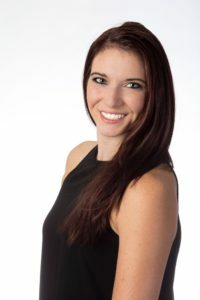 She has been most recently contracted to perform with Aerial Dance Chicago, taking her dancing to new heights and opportunities Alanna has a passion for choreographing and teaching, she loves watching children’s love for dance grow. Andrea Bergeman Rak In her career as a professional ballet dancer, Andrea Bergeman Rak danced for Ballet Memphis, Peoria Ballet, Minnesota Dance Theatre, Tulsa Ballet, and English National Ballet. Principal roles she has danced professionally include the title role in Firebird; Snow Queen, Sugar Plum and Dew Drop in The Nutcracker; Don Quixote pas de deux; Emilia in Jose Limon’s Moore’s Pavane; and principal roles in Loyce Houlton’s Carmina Burana. Andrea has also performed works by noted choreographers including George Balanchine, Dwight Rhoden, Lila York, Frederick Ashton, and Trey McIntyre. With English National Ballet, Andrea performed in Derek Deane’s Romeo and Juliet at the Royal Albert Hall. 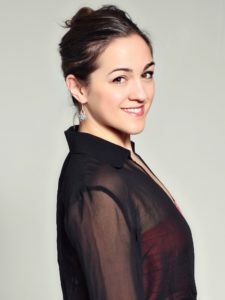 Andrea has taught at the Ballet Memphis School, Indianapolis School of Ballet, Minnesota Dance Theatre School, Seiskaya Ballet Academy on Long Island, the School of Classical Ballet and Dance in Des Moines, IA, and Los Gatos Ballet in California. Andrea is also a comprehensively certified pilates instructor, a certified yoga instructor at the 200 hour level, and has worked as a master instructor for Peak Pilates. DanceWest Ballet Company presents The Nutcracker each Christmas season at Pfeiffer Hall on the campus of North Central College in Naperville. The production features guest artists who have danced with companies including American Ballet Theatre and Joffrey Ballet of Chicago. All students, ages three through adult, are invited to audition for the annual performances. The annual school performance is intended to be viewed as a presentation of the culmination of the year’s learning and progress. The concert is held at the end of June and features all students. The experience, from costumes to dress rehearsals, allows the students to learn about the excitement and responsiblity of performance. DanceWest Ballet performs pieces from its repertoire in a variety of venues. Stuents age 10 or older who are interested in performance opportunities are encouraged to audition for DanceWest Ballet and/or DanceWest Performance Group. Auditions are held in September for the upcoming year. Dancers arriving after the September audition date may audition by appointment. Ballet students: Hair worn in a bun with a bun cover. Skirts may be worn only on parent observation days. Jazz/Ballet students: Approved warm-ups only. All students using the changing room are responsible for keeping the area clean. Please do not leave food or beverages in the changing room overnight. For your convenience, girls’ apparel packages that contain all the items needed for class are available at the front desk. Deduct $10 per class if paid in full by early enrollment deadline. We offer special rates for multiple class enrollment. Please call or email the school for more information.